Woo hoo! Another classic specialist! Ivan Batory has been around the block a few times. The first WC race I have for him is all the way back in the 1994 season. Let’s see, I think I was a freshmen in high school that year. 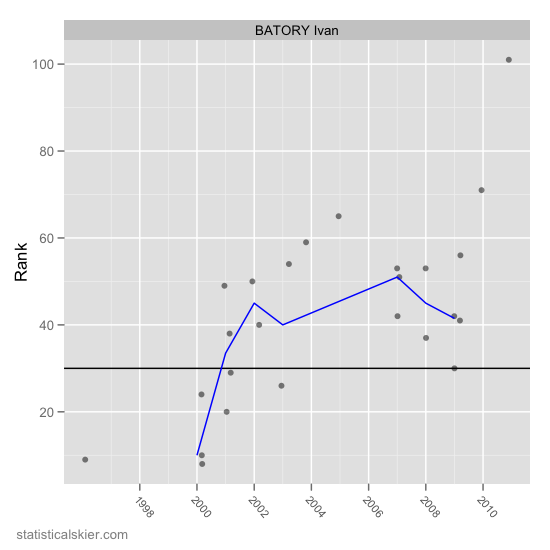 We can see that Batory’s “golden era” spanned roughly from 1999-2003. 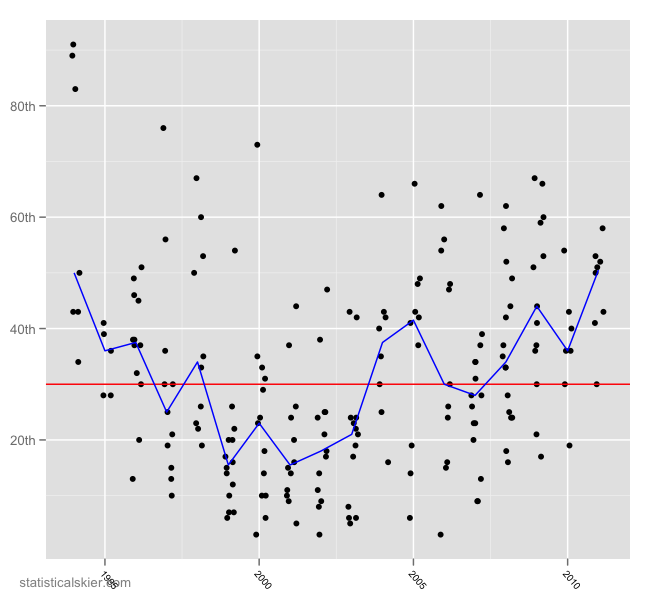 The 2003-2004 season was a big drop-off for him, and top results got thinner each year after that. With some of these older skiers with very long careers, I think it’s fun to remind people when they retire how they did at World Juniors. In his first trip, Batory finished 21st and 22nd. The next year he finished 14th and 2nd. Both years his better race at World Juniors was the classic event. While he had many, many top-30 results over his long career, Batory finished with only 3 podium results, but 26 top 10 results. My point here is, of course, that his success at World Juniors probably correlates well with his large number of top 10 or top 30 results. But the next step to finishing in the top three repeatedly is probably a big jump from 10th place, and not easily distinguished using 4 races when he was 19. Posted by Joran on Friday, May 4, 2012, at 6:00 am. Filed under Analysis, Career Retrospective, Cross Country. 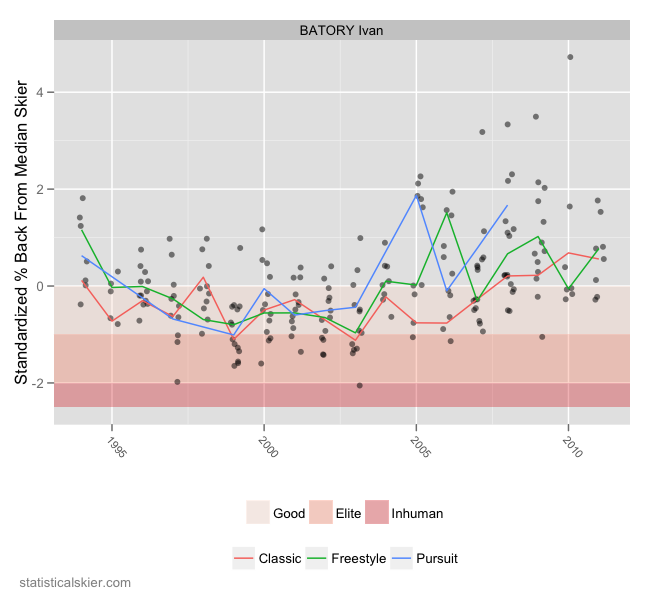 Tagged career retrospective, classic specialist, ivan batory, men, slovakia, World Cup. Follow any responses to this post with its comments RSS feed. You can post a comment or trackback from your blog.